In stock 218 items in stock. 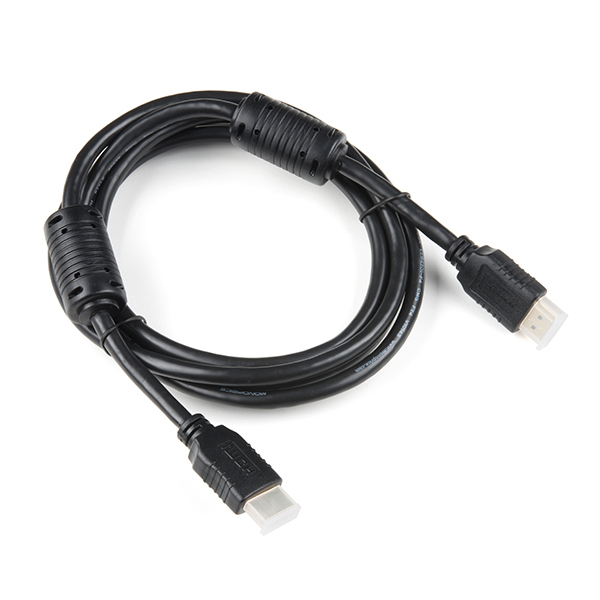 This is an inexpensive HDMI cable that you can use to hook up your Raspberry Pi to a suitable monitor or TV. 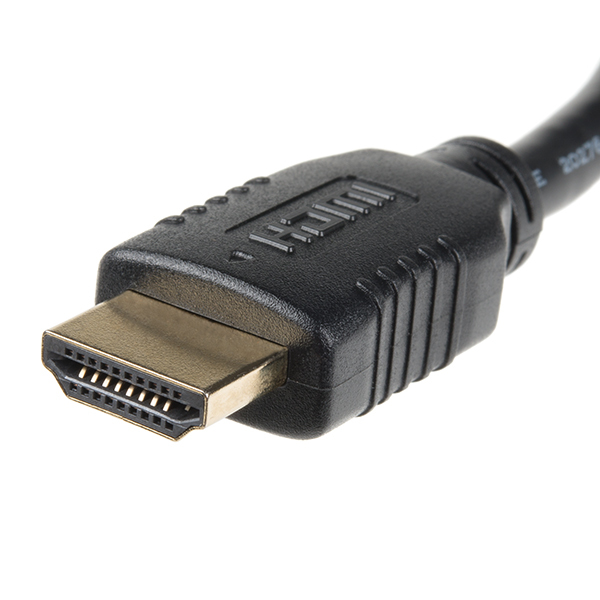 Heck, you can hook up anything you want with it, HDMI is becoming more and more common as a digital audio/video standard. All we need to do now is prove that this $5 cable is better than a Monster Cable and we can make millions! Just Google Monster Cables vs. coat hangers. Wow! Nice work guys! First HDMI cable I have ever seen that doesn't require putting up my car title as loan collateral. Chill! There's this thing called irony, I suggest you look it up. And (I might be wrong) I think Mupeg was referring more to the reputation HDMI cables have than to their actual price. Not to be that guy, but you've obviously never heard of monoprice. Good job Sparkfun on the price, not as cheap as MP but still very competitive. Really, I've never paid over $8 for a 3 pack of V1.4 Category 2, 6' cables. Also I've paid less than $20 for (2) 25' cables of the same rating. Absolutely no problem with any connection I've tried. Any chance of carrying a Male-Female Cable? I'm making something with a Raspberry-Pi and wanted to extend the HDMI output outside of the enclosure. I use the cable every day with my RPi and it works great.